As we've already noted, sedentary lifestyle is the key risk factor for people's lives and health. That's why a group of active Bulgarians - each of them successful in their field - united themselves to create a proposal for the problem's solution. The system is called Folknetics and it was presented yesterday in Sofia, Bulgaria, during a press conference at the Bulgarian News Agency. The term 'Folknetics' is used by the founder of ensemble 'Bulgare', Hristo Dimitrov, for the first time in 2005. Currently the team develops a full range of movements, music and instruction that will grow into a tutorial, which anyone can use at home, office, on holidaies or parties with friends. - Prof. Lubomir Stoykov - an expert in cultural studies and aesthetics, a fashion critic and TV journalist, the Deputy Chairman of the Bulgarian Academy for Fashion. The occasion for the press conference was The Month of Bulgaria in The Netherlands (October 28th - November 28, 2015) - the period during which the ensemble 'Bulgare' is going to be on tour in 30 towns and cities in the country and will present to the audience the magic of the Bulgarian folklore dances. Richmart's newest fashion show already includes a mixture of fashion, dances and haircuts, which was never presented before. 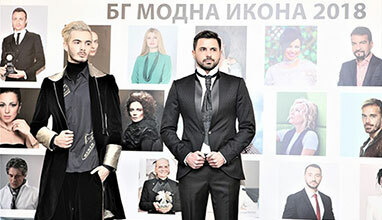 'It's a symbiosis that is really impressive and unique', commented brand's owner Martin Yordanov. 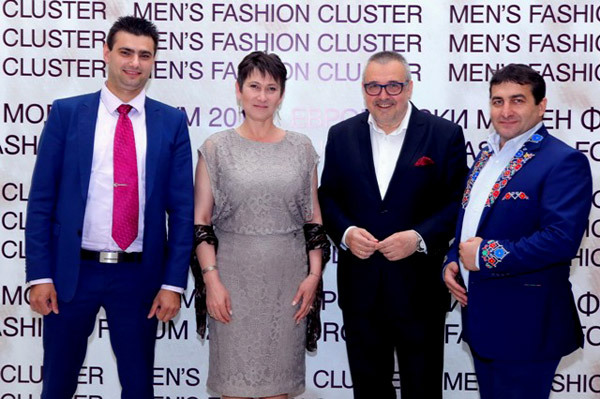 'There is no doubt that 'Bulgare' and Richmart's beautiful men's suit jackets will conquer the audience in the Netherlands,' said Stylist Kapanov. 'Braid is the hairstyle, which is in sync and best highlights Bulgarian folklore and embroidery (shevitza)' explained the coiffure and female dancers' hair will be plaited during the fashion shows, which Men's Fashion Cluster plans to present on the world's biggest fashion stages. 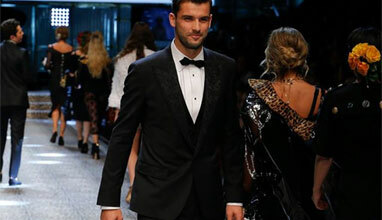 Hristo Dimitrov revealed that the organizers are working on the idea of attracting celebrities - from Bulgaria and abroad - to become faces of Folknetics. They also develop video lessons that will be available for everyone, who wants to feel the magic of Bulgarian dances.